PINENG Rechargeable Batteries, gold quality, green energy! AAA rechargeable batteries, 1200mAh, 1500 cycle, ready to use, low self-discharge. Highly Recommend written by mobile Collect all items in good condition. Collect all items in good condition. Thank you. it happens to be one of the higher capacity for 'aaa' batt and price is affordable. hopefully it last for my cordless phone. I read from Q and A, that you have given up on selling Pineng AAA and is not stocking it anymore. Why then is the advertisement still appear LIVE? What is not good about the battery? Is it truely 1200mAh? We only left with one pair and won't bring in the stock anymore, Yes it is 1200 mah. Can the refund be channeled to QMoney instead of PayPal? Yes qoo10 will refund into your qoo10 account. When you will restock AAA? Sorry sir/mdm we won't be stocking up this AAA battery anymore. Hi Seller, Just received the above-mentioned, but they could not be charged in a compatible battery charger. Please advise what to do. thank you. If thats the case,Pls bring the product down to our store for us to check for you.Could be your battery charger is faulty.If its our product defect, we will definitely exchange one for you. new set of batteries, please. Thank you. No problem,but you need to come down to our store for us to check the product. Hi Seller, got no time to go down to your shop that's why buy on-line. Please re-send, thank you very much. If you got no time to come to our store,you can mail it to us.However we do not recommend using normail.If the parcel is lost,we do not bear any responsible.If the product is faulty after we test it,we will pay for your shipping fee.However,If its not defect product,you will have to collect from us or pay for the shipping fee if you want us to mail it to you.Thank you for your understanding. Hi Seller, problem solved, thank you. Hi...is the AAA 1200mah in stock? I will need 12 pieces. Can I pick up from your shop once payment is processed? Do you also have a charger that can charge all 12 pieces at once? Hi, want to find out from you whether the Pineng 1200mah AAA batteries you are selling is ready stock? 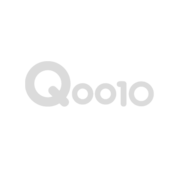 Meaning if I buy from Qoo10 I can go down to your shop immediately for collection? I just need 2 pieces. yes , we got stock . Hello, may I know when will yall be restocking on the AAA batteries? Thanks! About the AAA batteries, we have last 2 unit in stocks, if you interest, you can walk in store purchase. Hi, what will the price for the AAA Battery cost for 4nos. If the stock ready.Thanks. It is in stock, the one out of stock is AA battery. It cost $6.10 per package and there is 2 batteries in a pacckage.